Q: How do I know SMVLL is my league? Our league is open to any child between the ages of 4-18. Each Little League creates a boundary map of the area that it services. 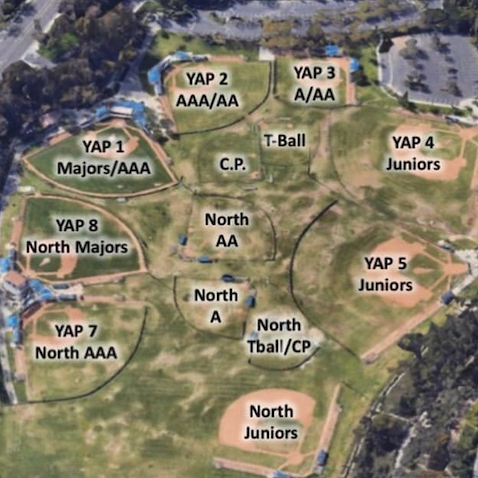 A link to South Mission Viejo Little League’s boundary map is below. If you live within the area of this map, SMVLL is your league. If you do not live within the area of this boundary map, but your player’s school is located within this area, please contact our Player Agent (in League Contacts) to review the options available for play in SMVLL. Link to SMVLL boundary map. Q: How much are registration fees for the 2019 Spring Season? Registration fees may be paid after submitting registration form onlne. Look for cut-off dates posted online. Q: What is covered by my registration fees? Your fees cover your player’s uniform (jersey, pants, socks, belt and cap), his field time for practices and games, coaches and umpires. Your player is responsible for bringing his personal baseball equipment (bat, batting helmet and fielding glove). We also suggest that your player always have plenty of water and sunscreen. A baseball backpack or gear bag is recommended to carry equipment and extras to and from the fields. Q: What level/division should my child play? Before you select a level, please determine the league age of your child, then review the descriptions shown below. 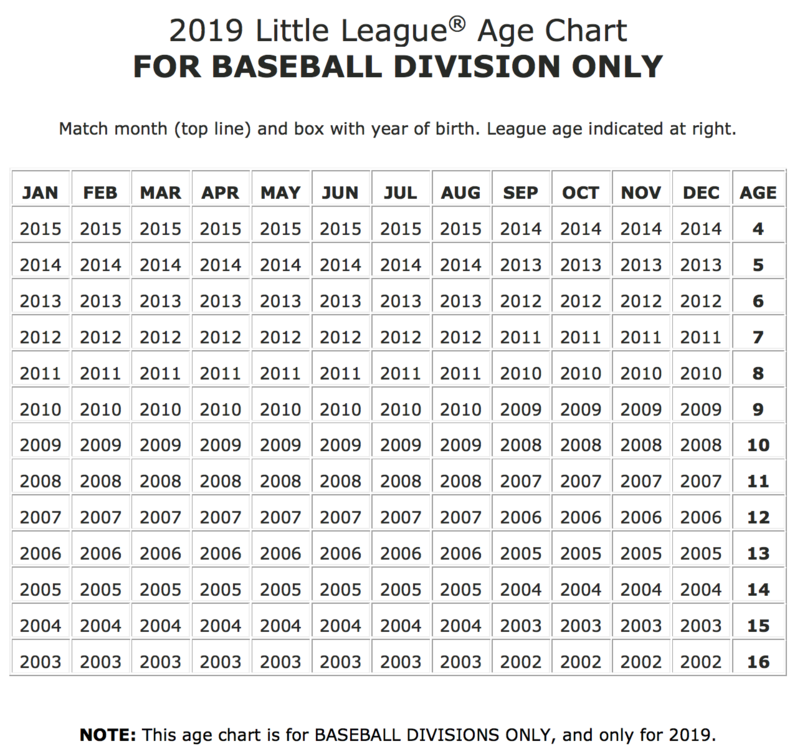 Little League International has created an age chart and calculator to help you determine. "League Age" is used to determine the division(s) in which a player is eligible to participate. This ensures that players of similar ages, skills and experience are playing at the same levels, making the game safer and more fun while maintaining a certain level of competition. Baseball and Softball divisions utilize different age calendars for their respective sports. Please refer to the charts, below, to help determine a player's league age for the 2019 spring season. You may also use the Little League International Age Calculator. Q: Are there opportunities to coach / manage / volunteer? Yes! Anyone can apply to become a volunteer. Whatever talents or skills you have, we can use them! As a volunteer, you have the opportunity to spend quality time with your child in a safe, fun-filled environment. The benefits of volunteering in youth sport are endless. SMVLL provides all of the support and instruction you need to get started. We stand shoulder-to-shoulder with all of our volunteers. We recognize that our volunteers are the backbone of our league. If you are interested in volunteering please complete the volunteer form while registering your child. (see “League Documents” on the homepage). Complete and submit the volunteer form if interested.